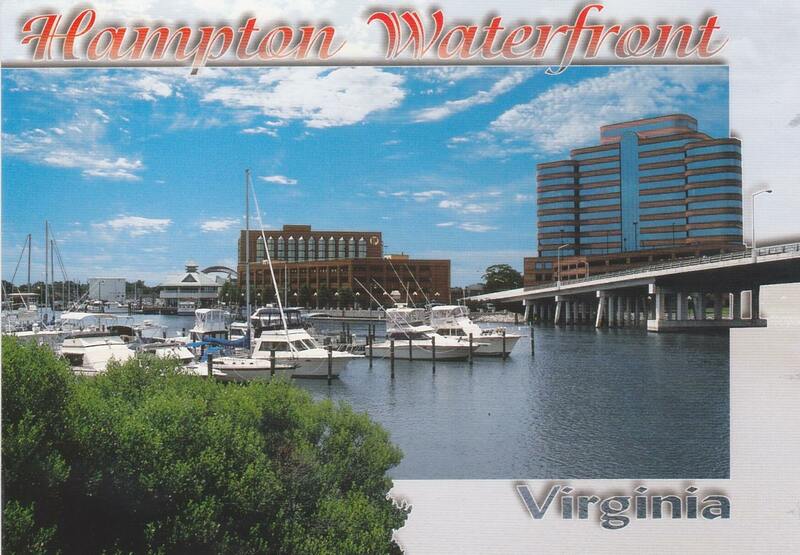 Receiving this postcard reminds me of family connections to the Tidewater area of Virginia where there is lotsa lotsa beautiful water. 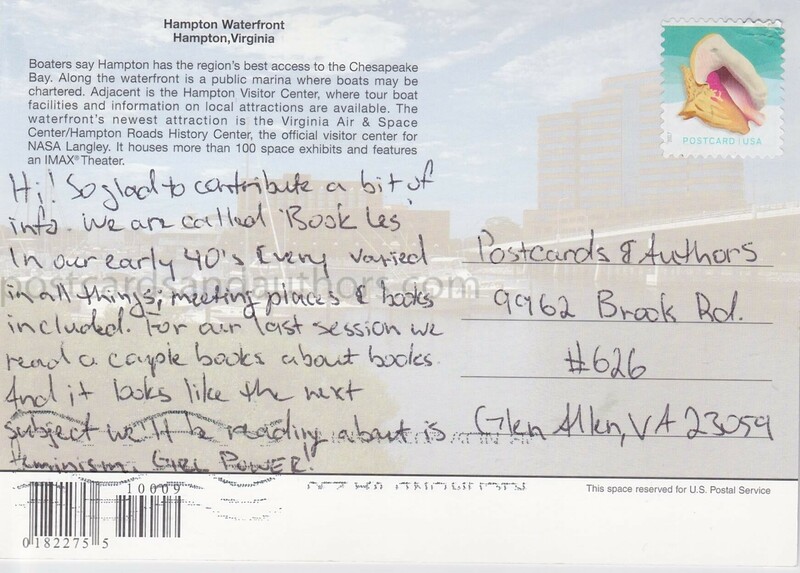 I love the sight of ships, boats, and beaches; and one time, I visited the Virginia Air & Space Center that the postcard caption mentions. Fascinating! Meeting Schedule: We usually meet around the middle of each month. Meeting Place: We pick a place where we’ll be able to sit awhile and talk; usually, Panera. Book Selection Method: We’re following the 2018 Book Riot reading challenge, but a little behind. Best Book Discussion: One of our favorite discussions was about Bizarre Books by Russell Ash and Brian Lake. It was pretty much a gigglefest. Upcoming reads: We’ve picked three books about feminism and we’re going to try to read them all! The books are: The Rise of Enlightened Sexism by Susan J. Douglas, Rage Becomes Her by Soraya Chemaly, and Full Disclosure by Stormy Daniels. Visit Jenn’s Instagram to say hello and to see/hear her book reviews that have her own unique spin!